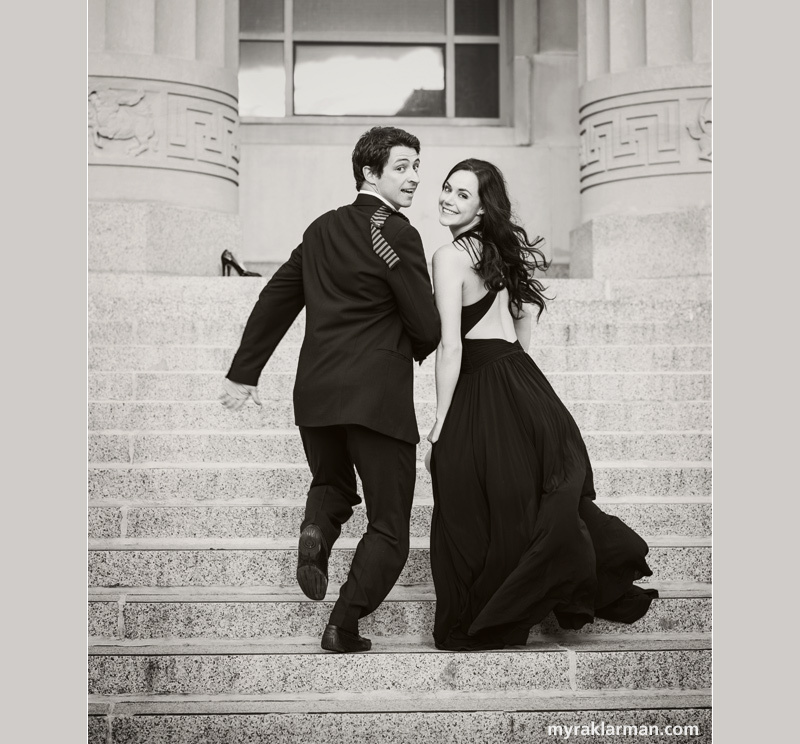 Whoever suggested that it’s hard to dance about architecture certainly didn’t anticipate Tessa and Scott coming along. I’ve spent the Sochi Olympics putting the finishing touches on the shots I took of Tessa Virtue and Scott Moir last September. 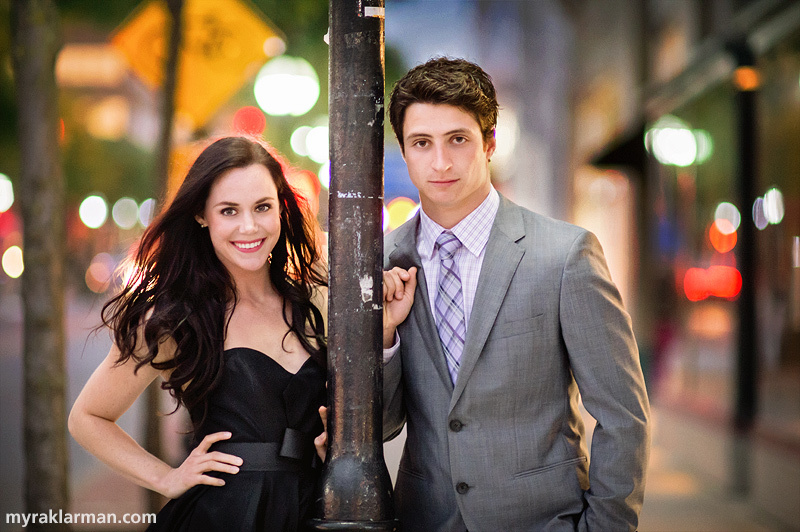 (For those of you who aren’t already familiar with Tessa and Scott, they are the Canadian ice dancing champions who took gold at the Vancouver Olympics in 2010 and won the silver last week in Sochi.) Please don’t ask what’s taken me so long to post these images. I could, no doubt, conjure up a great many vaguely plausible excuses — involving polar vortexes, snow days, sick days, Newton’s first law of motion (“objects at rest tend to stay at rest”), various bodily aches and pains, an earthquake, a terrible flood, locusts, and on and on. But, if I may confide in you, the simple truth is that I don’t want this amazing working relationship — between me and “my” ice dancers, obviously; but also, and far more poignantly, between Tessa and Scott — to end. Ever. When we were discussing ideas for this session, Kate (Tessa's mother – another dream to work with), came up with the most fitting concept: looking back and looking ahead. Tessa and Scott clearly have a deep appreciation for their unique partnership, their friendship spanning 17 years, and the extraordinary accomplishments they’ve achieved together — all during such a formative period in their lives. Their remarkable shared history simply boggles my mind. Whatever their futures hold — and I have not been made to privy to any information on this — I can easily imagine that they will always have each other’s backs. Beaming! (These were taken at the new wing of the University of Michigan Museum of Art). Surf's up at Angell Hall (designed by premier architect Albert Kahn in 1924). 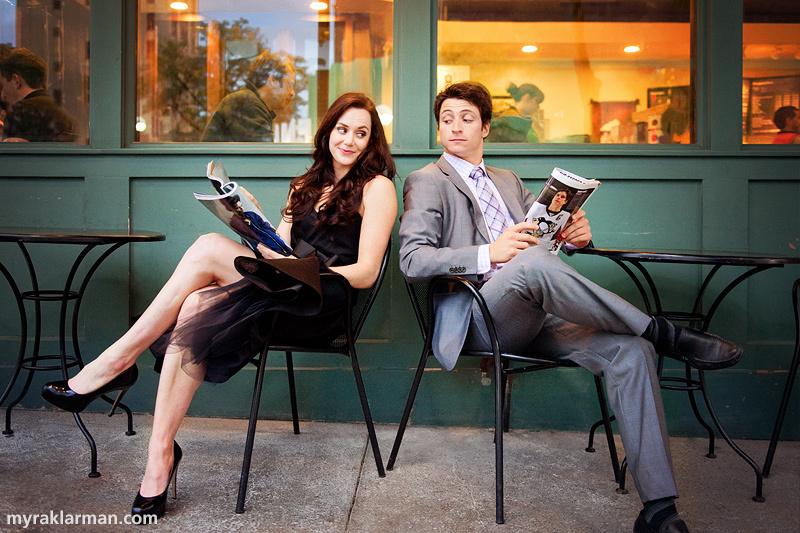 Tessa and Scott each pitying the other for their choice of reading material. I’m so grateful that I got to bask in their glow these past few years. Running ahead toward whatever life has in store for them (not to mention, Tessa’s shoes) — fueled by all that has come before. They, and your photographs, are gorgeous! Just stunning and full of joie d’vivre! Beautiful photos of the world’s most beautiful ice dancers. “I’m so grateful that I got to bask in their glow these past few years” – so are we all! We don’t want it to end. Thank you for capturing these moments for us to hold forever. Wow, These are simply beautiful. I have really enjoyed your photo shoots with them, and I can tell you I’m not looking forward to the fact there might not be any more. I will miss them, and the ice will not be the same without them. Scott and Tessa are by far the best ice dancers of their time ( maybe ever) and I have no doubt that’s how they will be remembered in their sport! These are stunningly beautiful photos! Of course it helps to have such gorgeous subjects to work with!! Great pictures and I love the concept of them! Wow. You really captured the essence of Tessa and Scott’s friendship in your photos – easy, relaxed, and fun. They are a beautiful and talented couple, and will be missed in the competitive circuit. Thank you for sharing your incredible talent with us (Myra included of course). Omg, can they be any more married? Tessa and Scott are shining examples to the World of the shear beauty, strength and talent required to excel at Olympic Ice Dancing. It is a pleasure to watch them “live the dream” for all Canadians with their Silver and Gold medal performances, while we in the Ilderton area glow with a little extra pride, inside, that it all started in our part of this great Country. Stunning! What an outstanding couple!